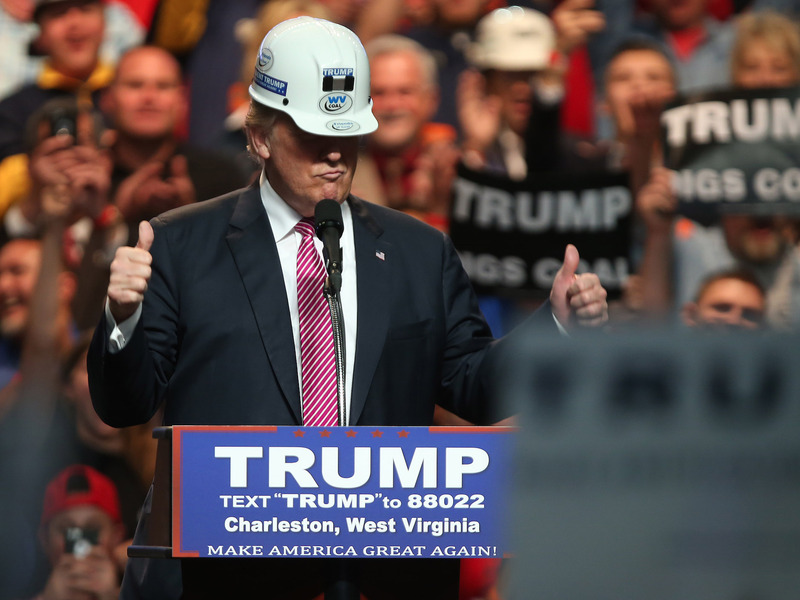 President Donald Trump announced that a new survey from the National Association of Manufacturers showed the highest level of economic confidence from business leaders in the industry. In a White House meeting, Trump announced that 93% of manufacturing industry executives surveyed by NAM, a lobbying group for the manufacturing industry, said they were optimistic on the future of the economy. Additionally, Trump said that “just a few months ago” that number was at 56%. According to NAM CEO Jay Timmons, the reading from the survey was the highest in its history. Interestingly, NAM was an advocate for the Trans-Pacific Partnership. Trump pulled the US out of TPP negotiations soon after taking office. The release was part of a meeting between Trump and manufacturing executives at the White House. It also reflects a common theme for economic data since Trump was elected. Soft data — that is surveys and confidence indexes — have been soaring, while the hard data — actual measures of economic activity — has not caught up to the optimism. For instance, the University of Michigan’s consumer confidence index remained near its highest level in over a decade in a release on Friday. At the same time, real personal spending (the growth in the amount Americans are spending minus the rate of inflation) actually decreased in February by 0.1%.